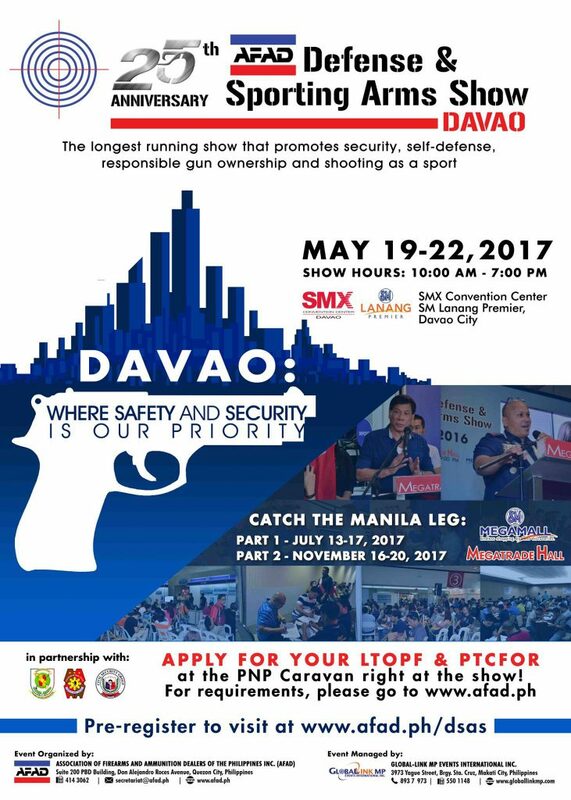 For the first time, since the Defense & Sporting Arms Show started 25 years ago, the DSAS will be going to Davao to hold the longest running gun show in the country whose mission is to uphold responsible gun ownership and to promote the firearms and ammunition industry as well as sport shooting. 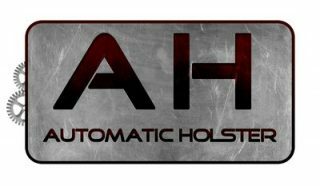 Defensive Armament Resource Corp. (DARC) will be one of the many participants at this highly anticipated gun show and we’ll be there to bring our products and services to our clients and friends in Mindanao. The show will also feature the LTOPF/PTCFOR Caravan for those who wish to apply for their LTOPF or PTCFOR in the convenience of a mall setting. We’ll have our full line of products on display at the show and we look forward to seeing you there. Show runs from May 19 to 22, 2017 at the SMX Convention Center, SM Lanang Premier, Davao City.